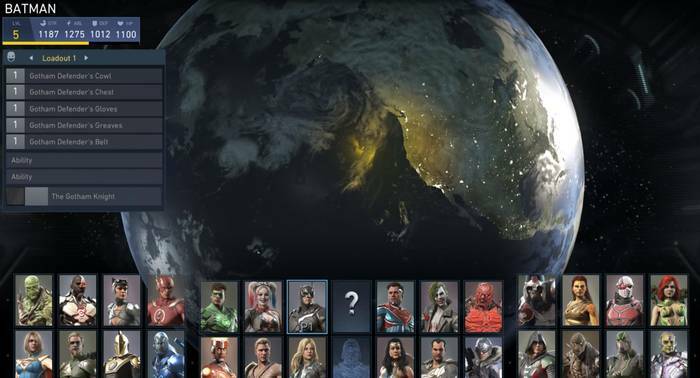 This page contains an introduction to the Multiverse Mode of Injustice 2. Click here to go to our Injustice 2 wiki page for more character guides, gear database, and tips and tricks! 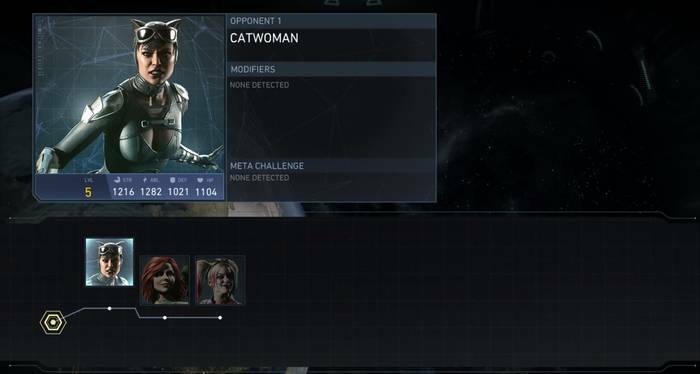 Multiverse Mode in Injustice 2 lets players play through a ladder of arcade battles across various worlds. 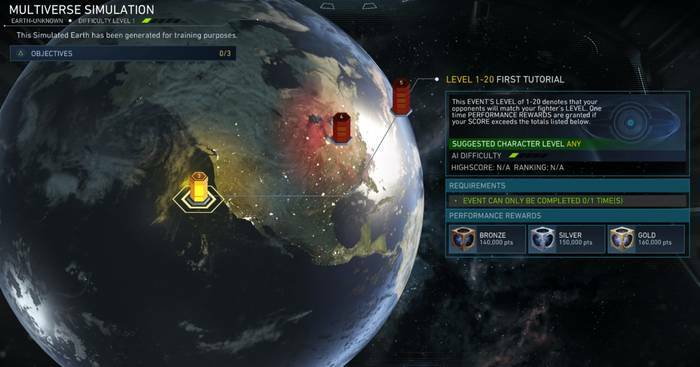 Battles in Multiverse Mode have special conditions and challenges that you need to complete to obtain various rewards such as gear and credits. From the character select screen, you can choose your fighter and customize your gear loadout before going to the challenges found in different worlds. When you’re pitted against an opponent, you’ll be able to see his or her stats and what Modifiers the enemy has equipped. You can also know what Meta Challenges can be done in the next battle. Meta Challenges are random objectives that give certain rewards if you complete them during the match. Each mission in Multiverse Mode will have a certain level range and enemy difficulty, giving you an idea whether your character is suited for that particular mission. Playing through this mode and completing certain objectives nets you various types of gear and credits. How good the reward is will depend on the level of difficulty of a particular objective, which means that the harder the challenge, the better the rewards. It’s not hard to obtain a good number of Epic-level gear in this mode, as well as lots of credits.